Rent the Kikusui PWX1500L: The Kikusui PWX1500L is a 0-30V 0-150A (1500W max) CV/CC programmable regulated DC power supply designed to optimize for a rack-mounted power supply. To increase its mounting efficiency, 19-inch rack width which is only 1U high with cooling running from the front to the back which means units can be stacked on top of eachother. The PWX1500L is equipped standard with USB, RS-232C, and LAN interfaces, which are essential for system integration. 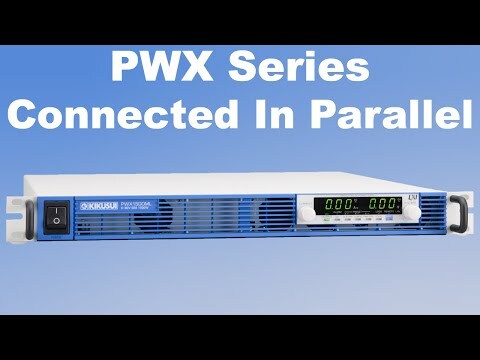 The PWX1500L also has a virtual multi-channel bus (VMCB) function that allows it to be used efficiently for many different remote control and monitoring architectures. In particular, the LAN interface is LXI compliant*, enabling you to control and monitor the power supply easily from a browser on a PC, smartphone, or tablet. You can also manage the power supply in a different building. * 1 . Rated load. * 2 . Immediately after you turn on the POWER switch (between about 1 ms), the charging current component flowing to the capacitor of the internal EMC filter circuit is excluded. 3 * . 100 Vac, at the rated load. * 1 . The maximum output voltage and the maximum output current is limited by the maximum output power. 2 * . 85 Vac ～ 135 Vac or 170 Vac ~ 265 Vac,, constant load. * 3 . At the rated output voltage, the amount of change when the load was changed to a no-load → rated load (rated output power / rated output voltage). Measured at the sensing point. 4 * . ± of the output voltage is the rated output voltage (0.1% + 10mV) time to return within. The variation value of the load current is 50% to 100% of the maximum current at the set output voltage. 5 * JEITA standard RC-9131 1:. 1 measured using a probe. With rated output current. * 6 . If the measurement frequency bandwidth of 10 Hz ~ 20 MHz. * 7 . If the measured frequency band of 5 Hz ~ 1 MHz. * 8 . If the bleeder circuit of the on / off setting is on. * 9 . In the case of the range of ambient temperature 0 ℃ ~ 50 ℃. 10 * . 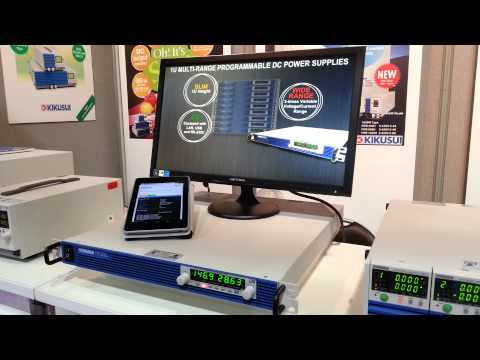 PWX1500H, at 0.2% to 100% of the rated current. * 11 . If the output voltage (rated power ÷ rated current) is 10% to 100% of the rated. With rated output current.